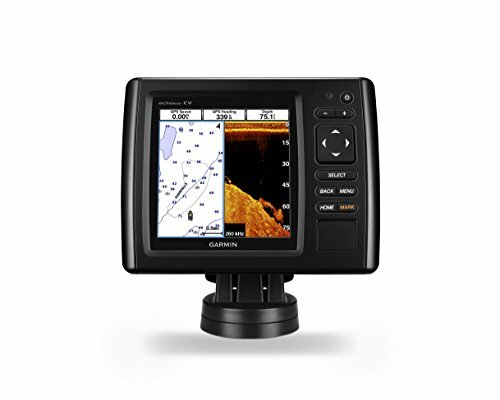 Following in the success of the echoMAP CHIRP combo series, Garmin is proud to announce the new echoMAP CHIRP combos with ClearVü scanning sonar technology. The cv series offers built-in CHIRP traditional sonar and CHIRP ClearVü. The sv series gives you built-in CHIRP traditional sonar, CHIRP ClearVü and CHIRP SideVü capabilities. Each display size for the echoMAP combos is offered with either U.S. BlueChart g2 charts, U.S. LakeVü HD maps, Canada LakeVü HD maps or a worldwide basemap. New Garmin Quickdraw Contours software feature lets you create your own maps, with up to 1-foot contour lines, on any body of water. Raymarine a98 Multifunction Display with Downvision, Wi-Fi & Lighthouse Navigation Charts, 9"